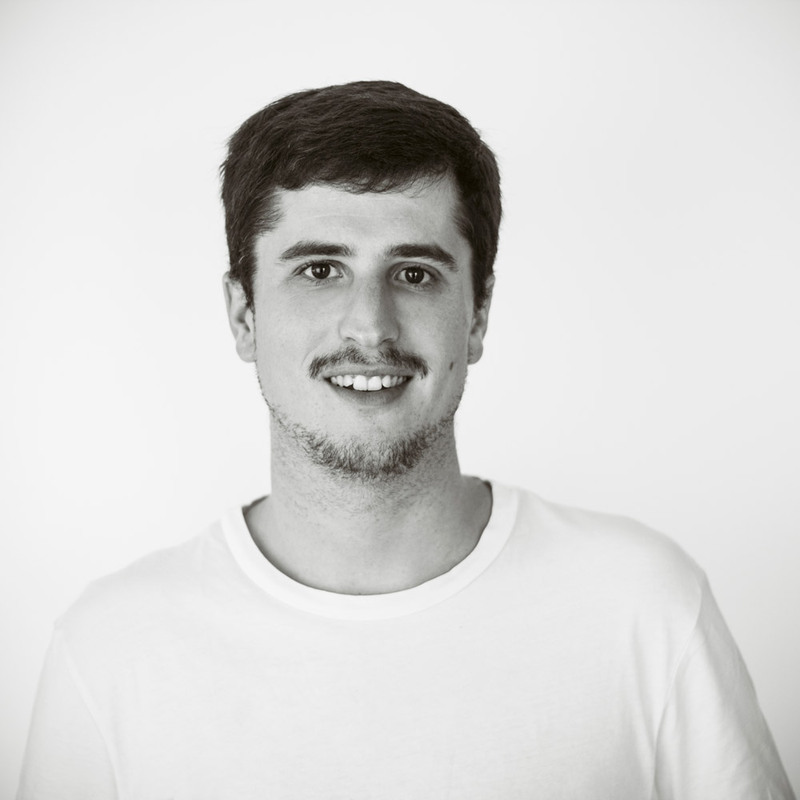 Lover of online reading, culture and music; he dedicates his spare time to play videogames and watch streaming series. 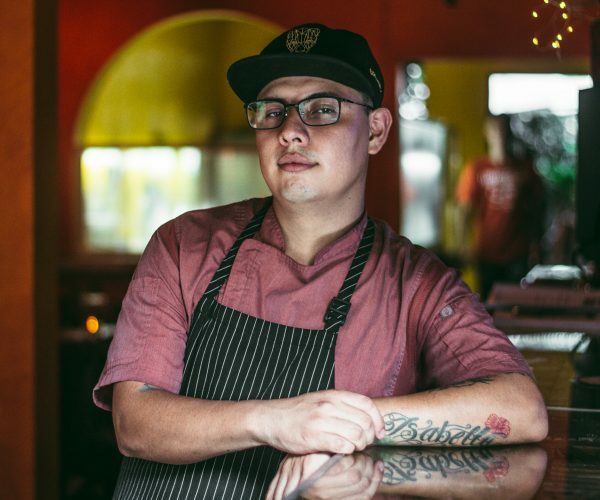 South American and Central American cuisine has always captivated the foodies of the world. These delicious dishes, so rich and diverse, varying according to the country, offer flavors and aromas enriched by a perfect combination of ingredients and techniques, both native and European. If you would like to try some of the best delicacies from Argentina, Brazil, Cuba, Peru and Mexico, among others, Warique is the place to find the best Latin American cuisine in Puerto Vallarta. In the Quechua language, the term warique refers to a restaurant that is little known, a hidden gem for the community, but has a reputation for excellent delicacies. 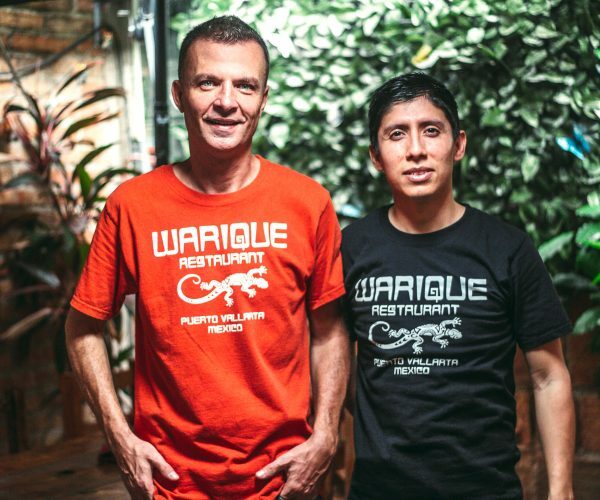 Embracing this concept, Warique Restaurant’s creators, Peruvian Fabián Reyes and Polish Christian Florek, along with talented Mexican chef Eduardo ‘Eddy’ Aguilar, offer deliciously executed South American, Central American and Mexican dishes. 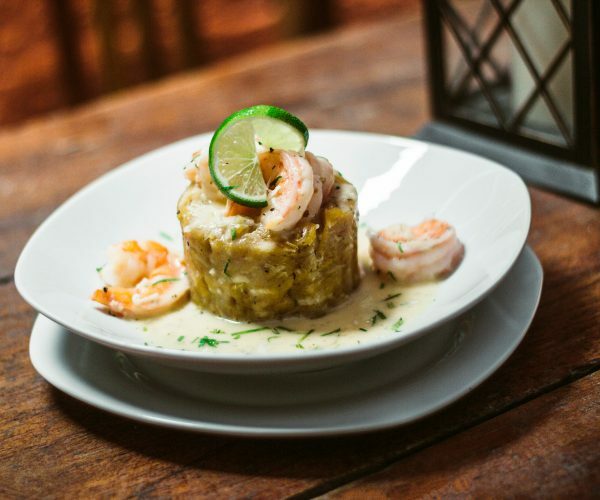 Our experience in this restaurant specializing in Latin cuisine was full of unforgettable flavors. 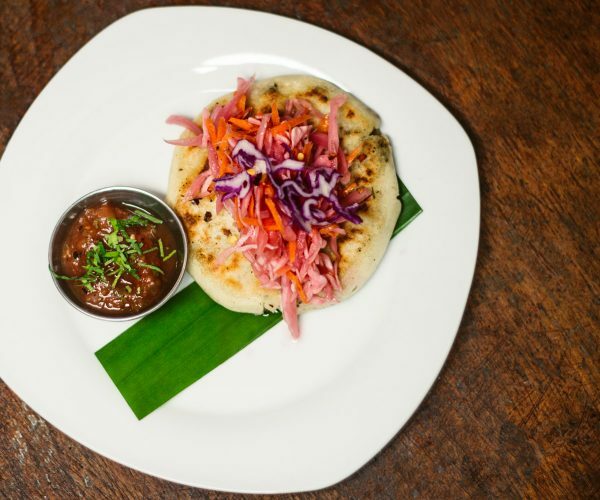 This gastronomic journey began with a delicious appetizer, the Pupusa Warique, a dish typical of El Salvador comprising a corn tortilla stuffed with ground beef, onion, garlic, fine herbs and mozzarella cheese, accompanied by tomato sauce and a pickled salad based on red onion, cabbage, carrot, a little vinegar and oregano. They also served us a refreshing cold soup of tomato and pepper based on yogurt. 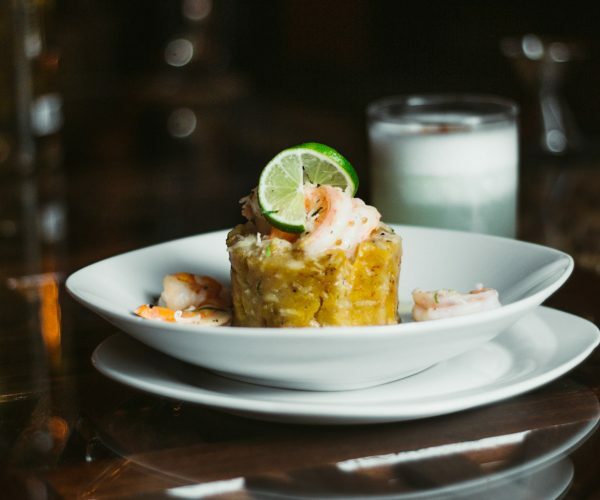 For the main course, Chef Eddy prepared Camarones Mofongo (Shrimps Mofongo), a dish typical of Puerto Rico and Cuba, but with a Warique twist. Commonly salty, here they recreate it with sweet nuances. To prepare it, a ripe plantain banana is first sliced and fried, then removed from the heat and mashed. To this “dough,” a little pepper, butter and caramelized shredded coconut are added. This cooled dough is then molded to create an edible glass. Meanwhile, butter is melted over low heat, and then milk, shredded coconut and spices such as rosemary, basil and dill are added, yielding a sweet coconut sauce. 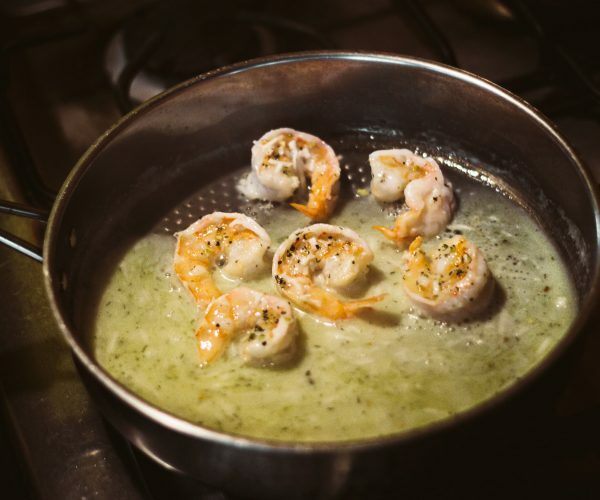 Finally, the shrimp are added to this pan, and the sauce is allowed to reduce a bit, before lemon juice and caramelized shredded coconut are added. 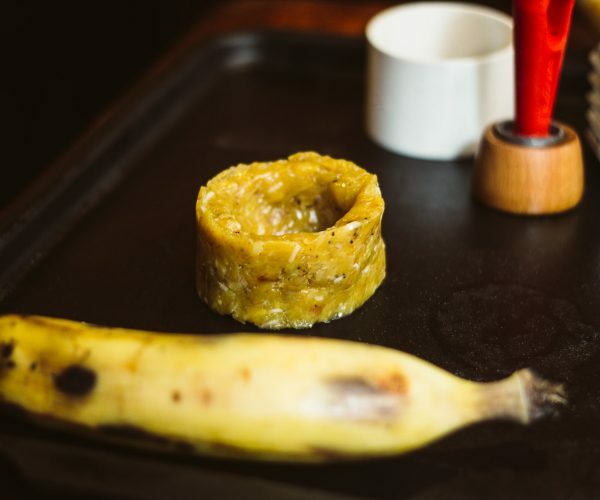 To serve, this mixture is poured into the “banana dough glass” and decorated with a slice of lemon and parsley, as well as a bit of shredded coconut. 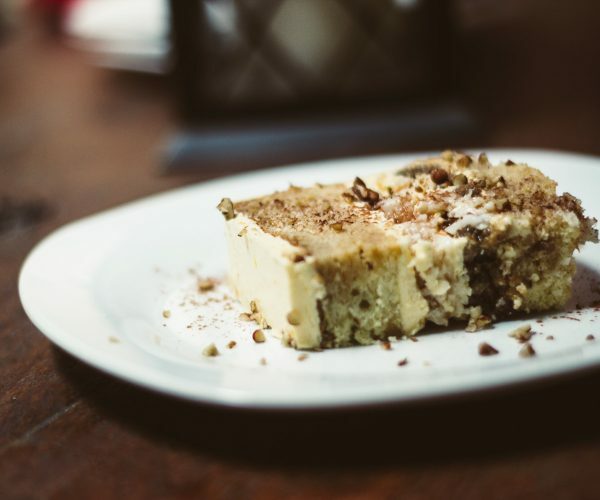 The result is a sweet dish, but not cloying, well balanced with its citrus and tropical touch. And Warique’s cocktail bar offers typical Latin American beverages. For this occasion, they presented their most emblematic drink: the Pisco Sour, the Peruvian cocktail par excellence. 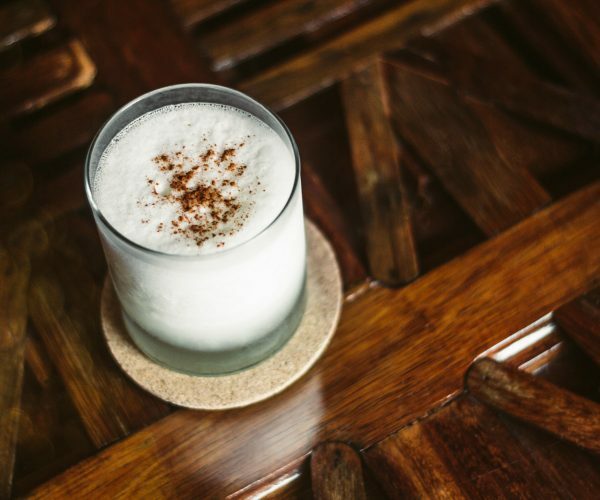 The bartender prepared this ice-based drink with lemon, sweet syrup, egg white and, of course, pisco (a typical brandy from the Pisco region in Peru). The ingredients are blended and a touch of cinnamon is added. 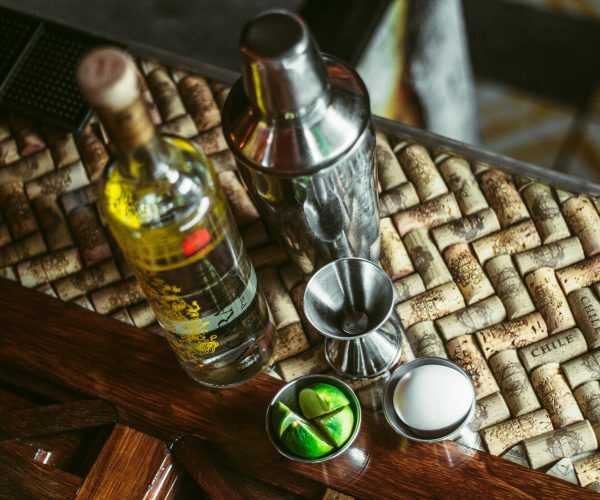 Mixing acid and sweet, the Pisco Sour is ideal for any occasion. If you would like to try these and other delicious Latin American dishes, visit Warique Restaurant in Puerto Vallarta and take advantage of its various promotions, such as a complimentary bottle of La Cetto Mexican wine when booking for more than four people or the Pisco Sour 2×1 special (available Sunday to Friday, from 5:00pm to 11:00pm). In addition, the restaurant offers various altruistic and artistic events every week.